Dean David B. Williams' list of accolades received a prestigious addition last week. He was elected Fellow of the Royal Aeronautical Society (RAeS). To receive this honor, a Fellow must have made “outstanding contributions in the profession of aeronautics, attained a position of high responsibility in the field and have had long experience of high quality.” Two current members of the society must sponsor the application. 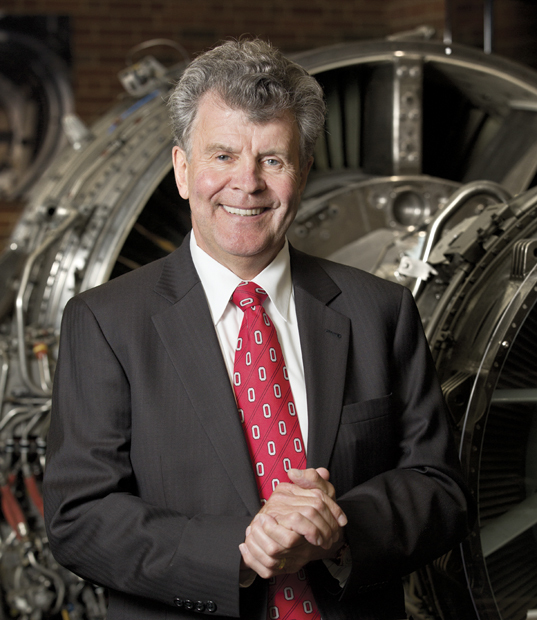 Williams has overseen the launch of Ohio State's Aerospace Research Center and significant growth of the university's airport and Center for Aviation Studies. During his tenure, combined aviation and aerospace research in the college has increased to more than $20 million annually. He serves on multiple national and regional boards involving aviation, aerospace and smart mobility, including the Ohio Aerospace Institute, the Ohio Aerospace and Aviation Council, the Ohio Aerospace and Aviation Technology Committee, Lightweight Innovations for Tomorrow, and Transportation Research Center. A native of Leeds, England, Williams holds B.A., M.A., Ph.D. and Sc.D. degrees from the University of Cambridge. In August, he was honored as a member of the Microanalysis Society's inaugural class of fellows.